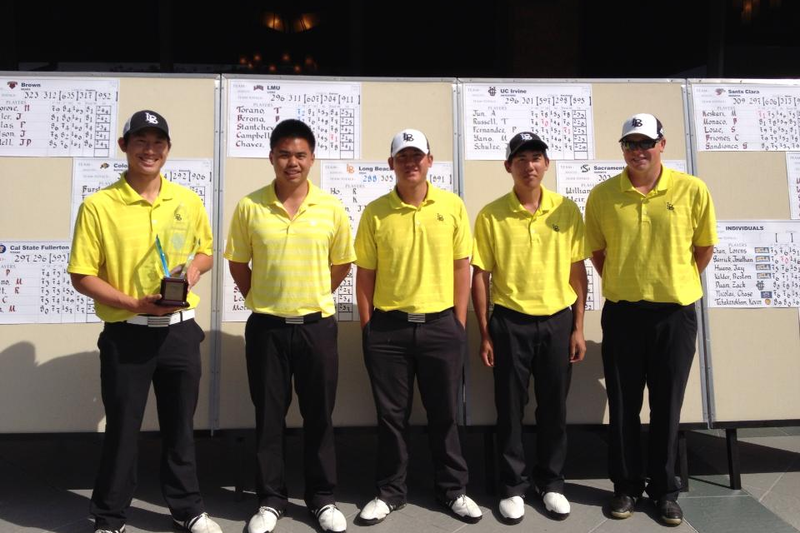 Long Beach State won the 33rd Anteater Invitational at El Niguel Country Club last week. Hey Guys! Happy Easter! Easter golf rounds will be played with the simulator here in Finland, because in some reason it’s still freezing cold here! Over -10 degrees (Celsius) last night again. To be honest was a bit depressing when watch the news yesterday and found out that exactly six yrs ago +17,8 degrees was measured at Helsinki-Vantaa Airport. You can imagine – hard times for golfers here…. After my short trip to Orlando I’ve now been back in Finland over a week. Leaving to Amsterdam later on today to spend Easter, but GameBook is in action again this week in California. Our U.S. based company’s CEO Mr. Mikko Rantanen has spent 11 weeks more or less in a row now around the U.S. soil. GameBook live scoring have been served many great college events during those weeks, like The Prestige, Wyoming Desert Intercollegiate, Mission Inn Spring Spectacular, Darius Rucker Intercollegiate and 33rd Anteater Invitational. Long but very rewarding weeks for Mr. Rantanen, I can imagine! 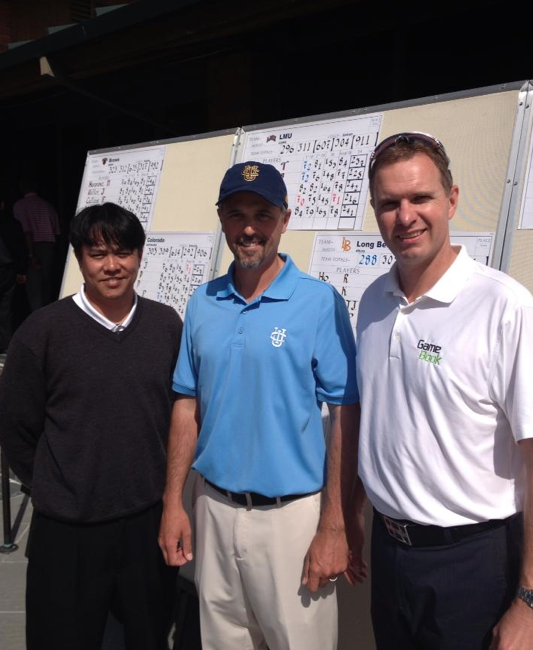 Luckily our U.S. based team member Mr. Erich Rabago was helping Mikko last week at El Niguel Country Club in the college tournament called 33rd Anteater Invitational. One more time congratulations to Long Beach State Men’s Golf Team, who won the title there! Now Mikko is already in Stanford, California. Stanford Men’s Golf Team is hosting 2013 U.S. Intercollegiate at its own course and tournament will be played from March 28th to 30th. GameBook look forward to organize live scoring to our friends’ tournament. See, GameBook and Stanford have been working together over a year now. Team is scoring its qualifying rounds with free Golf GameBook app, and like their Assistant Coach Philip Rowe said, they love it – it just doesn’t make sense to do it any other way. The guys love to know where they stand when everything is on the line. It’s more fun that way. GameBook guys Mikko Rantanen (right) & Erich Rabago (left). Heard that Stanford Golf Course is in championship condition so surely it will provide a challenging but fair test to 17 college teams! The course is considered to be one of the finest collegiate courses in the entire country – I’ve seen many when played for Georgia Tech back in early ‘90’s. This tournament has a great history and GameBook is extremely proud to be part of it. This year’s event will be the 45th annual year for U.S. Intercollegiate Tournament. Defending champion is University of Oregon, and the tournament has individual winners during the year like Tom Watson (Stanford) Corey Pavin (UCLA), Duffy Waldorf (UCLA), Billy Mayfair (ASU) and Mr. Philip Rowe himself 11 yrs ago.